The Abbey of St. Maurice, south of Lake Geneva in Switzerland, celebrates its 1500th anniversary this year. Saint Maurice, the name of its patron saint, reminds us until today of the story of the martyrdom of the Theban Legion and connects the Church of Europe andAfrica. Maurice was born in the year 250 inThebes, Egypt where he grew up and became a soldier in the Theban Legion of the Roman army. 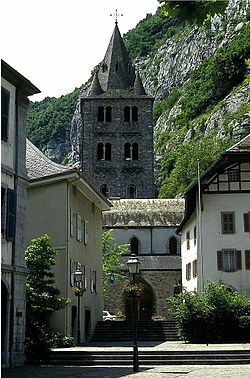 The legion was called to serve in Agaunum – today St. Maurice in the Valais, Switzerland. Bishop Eucherius of Lyon (434-450) gives the first account of the martyrdom of Saint Maurice and many of the soldiers of the Theban Legion. Some of the details are being called into question today, but the core of the story remains: St. Maurice and those who were killed with him in the year 285 were Christian soldiers who refused to pay homage to the emperor and rejected the order to persecute Christians in the region. Eucherius tells the story that twice every tenth soldier was killed (decimated) and finally all of them. All in all 6600 men were executed. 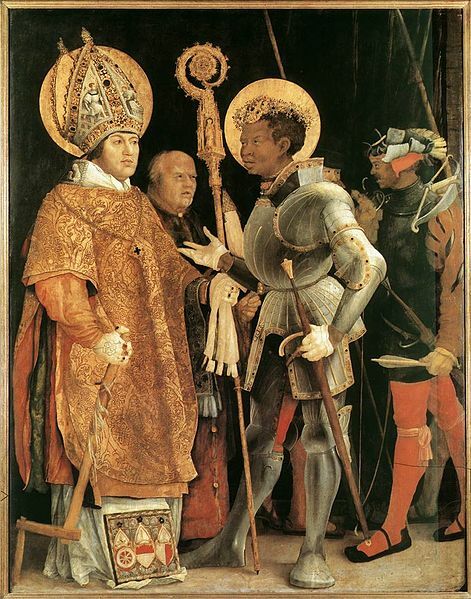 The oldest still existing image of St. Maurice stands in the Cathedral of the German city of Magdeburg which carries his name. 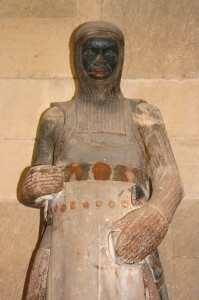 It shows an African soldier dressed as medieval knight. The origins of my family are in this area of Germany. We were told the story ofSt Maurice and the Theban legion as children. We were always reminded that this African Saint remained faithful in the confrontation with emperor Maximian, him and his friends giving their lives for their fellow Christians. It is a source of inspiration and energy to remember the martyrs throughout the centuries and in the many places of this world. There is the Icon of the Martyrs of the 20th Century in the Basilica of St. Bartholomew in Rome and the sculptures of martyrs above the West Gate of Westminster Abbey in London. This year we will reconnect especially with the African Saint Maurice. Dr. Martin Robra works with the World Council of Churches in Geneva, Switzerland. He is a special advisor to the general secretary. Before he joined the WCC in 1994, he was a pastor of the Lutheran Church of Westphalia based in Bochum and Witten, Germany. The most recent WWC General Assembly in Busan, Korea in 2013 has embarked on a pilgrimage of justice and peace. See herehttp://www.oikoumene.org/en/what-we-do/pilgrimage-of-justice-and-peace.